Digital Information Technology will be releasing very soon and provides students with hundreds of fundamental skills in technology, ranging from web page design to using spreadsheets as a tool to display and calculate data. 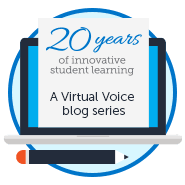 This new course will get you started on your journey to technological success, and serves as a prerequisite for many of the career and technical education programs of study that are available at FLVS. In addition, you will learn all about technology careers while applying your skills to real-world projects. This entry was posted in Homeschool Edition, Parent Edition, Student Edition and tagged Career & Technical Education, Career and Professional Education, Career and Technical Education, Careers, Digital Information Technology, Information Technology, Technology on April 15, 2016 by Guest Blogger. Does this course really require a whole year to complete? Do you believe an accelerated pace is an option ? Hi Keri. Yes, accelerated pace is an option! Our counselors can provide more info about course load and expectations. You can find their contact info through Student Resource Center on FLVS.net or get in touch on the FLVS Advisement Facebook page. I’ve taken Introduction to Information Technology in a classroom setting, is this class similar to that? I was wondering if I could go straight to Foundations of Programming with just Intro to IT or if DIT was required. Also, what programs are used in DIT? Yes, Digital Information Technology is the new name for the course previously known as Introduction to Information Technology, so that will work as the prerequisite! Does this subject require a lot of math? You’ll find some content about math, like formulas within Excel, but a lot of it is introductory for software programs and our other technical courses! Hi Sherry! The only requirements are to create an Office.com account to utilize the MS Office Online Applications and use a text editing software. Mac computers are perfectly fine. However, lightweight devices such as Google Chromebooks with limited technology support for Java or Flash are generally not compatible with the majority of our courses. Does this subject focus mostly on microsoft Programs such as Word, Excel, etc… or does it actually cover programming, binary coding, etc? This course covers the basics of Microsoft Office programs. For programming, check out some of our other Career & Technical courses at https://flvs.net/getcertified. Hello, I am currently teaching the course in the classroom. I was hoping you had some suggested projects for the students. Word processing: Design a company manual to include a logo and slogan. Critical thinking skills: Create different positions and have students research the career to prepare for a job interview for the company. Discuss: Type of companies, leadership skills, policies and procedures, workplace rules, safety, and regulations. Real world connection: Invite community leaders to talk about what it takes to run a business. Televisions shows like CNBC’s The Profit is a great tool for teaching students about the real world of business. Word processing: Create a cover letter, resume and thank you letter. Develop an organizational chart for the company. Discuss: Appropriate workplace behaviors and proper attire and grooming for the workplace. Real world connection: Have students dress in business attire and invite local community leaders to conduct mock interviews. Spreadsheets: Develop an inventory list and customer invoices. Create mock data for the assignment. Discuss: The importance of ethics and confidentiality of information. Real world connection: Invite community leaders to review the student’s inventory list and invoices for accuracy. Presentation Software: Create a presentation promoting the company or product. Students, as a team, can represent different departments of the company or showcase various products. Discuss: Constructive criticism, teamwork, conflict resolution and being responsible. Real world connection: Invite community leaders to come in and judge the best presentation. Web Development: Create a company website. Discuss: Quality customer service, copyright violations, and time management. Real world connection: Invite company leaders to come in and have the students pitch their website skills. This project could be cumulative or you could break it into a series of individual projects. I wish you the best of luck this year with DIT! I took a class called CCC and we basically did Microsoft certifications I heard that this was the same thing as DIT and I don’t wanna take it again to have to go to foundations of programming so is CCC DIT? I am also taking Foundation of Web Design in school right now so I would assume so? Yes, Digital Information Technology was previous called Intro to IT. Before that, it was known as Computing for College and Careers. Hi, i took teaching assistant in school where we basically did microsoft certification, so do i still need to do DIT to apply for Foundations of Programming Honors? And if so where can i apply for DIT, because i cannot find it in the request for new courses section. Can this course be taken over a single summer? Hi Jim! This is traditionally a two segment (full-year) course, but accelerated pace is an option if you want to finish more quickly. You can sign up anytime during the year, so summer is definitely an option. I’m currently taking Digital Information Technology on FLVS in order for me to take an accounting class next year. Is it possible for me to take Accounting 1 and Accounting 2 next year ? Digital Information Technology was formerly known as Introduction to Information to Technology (Intro to IT). If this is a prerequisite for Accounting at your school, you should be all set! Double check with your guidance counselor to confirm the course requirements. I was told it was mandatory but i’ll double check. Do you get certified in this course when finished? 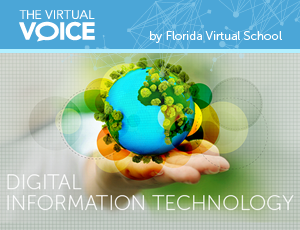 Digital Information Technology serves as a prerequisite to other certification test-prep courses at FLVS. You can learn more about certification opportunities at http://www.flvs.net/getcertified. Do you have to pass the certification test? There is no certification test for DIT, but this course is a great starting point for students who want to take a technical test-prep certification course (for Adobe, Microsoft, etc. ), which you can learn more about at http://www.flvs.net/getcertified. Does this course take an industry certified exam? No, Digital Information Technology is an introductory course. You can learn more about industry certification courses here: http://www.flvs.net/getcertified. Let us know if you have other questions! If you fail digital info tech in school and you take it on Flordia virtual and pass it can it replace your grade from school? Hi Alyssa! 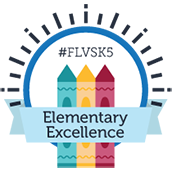 You should be able to take the course again with FLVS, but we recommend confirming this with your school’s counselor! Or if you fail 9th grade because you failed digital info tech can you just go to tenth grade and take digital info on flordia virtual? You should be able to continue with your 10th grade course schedule, but we recommend having a conversation with your school’s counselor to see if there are credit requirements unique to your situation. How long is the time period to complete the accelerated option for this course? Hi Carmella! A typical pace is 18 weeks (one semester), but you can discuss other options with your course teacher! An accelerated schedule may cut that time in half. I want to take the web design course and the prerequisite for it is Digital Information Technology and I’m currently taking Advance IT honors at my high school, is my current class equivalent to Digital Information Technology as a prerequisite? Hi there! It sounds like you should have the necessary background. We recommend just confirming with your school’s counselor to let them know so they can sign off on your course request! Hi there! The course was previously called Introduction to IT. If you haven’t taken it before, you are welcome to sign up! I am only able to take this class on a Chromebook – we don’t even own a computer and we get Chromebooks fre from school. How often and when is JAVA, and the non accessible programs, needed to complete assignments? Half the time? Less than 10? Most of the course? If its not THAT frequent, would I be able to log in at a public library computer and do those assignments there? Hi there! Each course is different, but there are typically a number of interactive components within the lesson material. These aren’t necessarily required or always integrated into the assignments or assessments, but may include important information. You could feasibly read through the lessons from a public library and then submit assignments at home, but it will be important to ensure you have regular access to complete weekly work. Digital Information Technology includes material about software programs and provides access online (such as Office Online) that should work on your Chromebook. You can find details at https://www.flvs.net/flex/courses?source=vanity/courses#highschool/1358.